This post is for anyone who owns a owns a dog and would like to groom them at home, either for the comfort and bonding experience this creates for you and your dog or to save money by not having to visit a professional pet groomer. Although this article is more specifically about grooming a Shih Tzu the techniques described will be useful for all dog owners. This post could also be useful for anyone training to become a professional dog groomer. After reading this post you will have a thorough idea of the steps required to groom your Shih Tzu at home. As well as knowing what equipment will be necessary you will also have a good idea of the pros and cons of personal grooming rather than visiting or hiring a professional pet groomer. Since a Shih Tzu’s hair grows quite quickly, an accomplished groomer is usually the best individual to groom your Shih Tzu providing not just a basic cut but some fashionable styling as well. However, there is no reason why you shouldn’t be able to groom your dog yourself. It’s natural to feel anxious about grooming your dog yourself but with the right equipment, instructions and a little confidence you’ll be feeling like a professional yourself in no time. 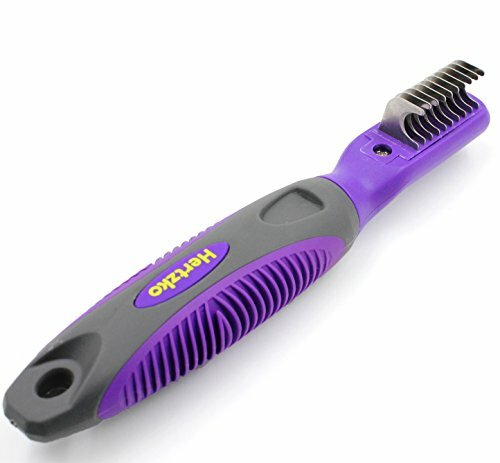 To groom your Shih Tzu at home you will need various pieces of equipment. Some are more expensive than others but it will only take one or two grooms before you will have saved the money you would have spent on a professional groomer. Some of the equipment needed you’ll probably have at home already and most of these things you can find at online, at your local pet store or supermarket. 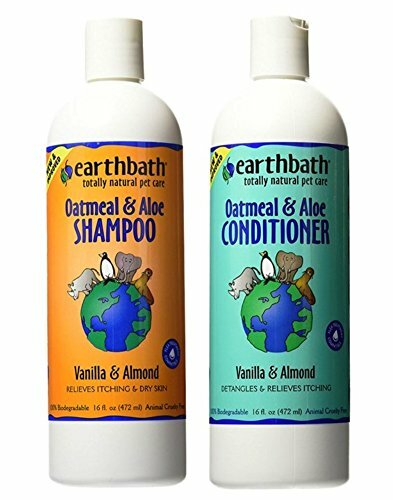 Specially formulated dog shampoo and conditioner. For a more detailed review of what equipment you will need to groom your Shih Tzu please read my article – Grooming Tools For Your Shih Tzu. You’ll find an overview of what tools you’ll need and why and also some recommendation for some quality products. Step 1 – Prepare the space. Firstly, you’ll have to find a suitable place to groom your Shih Tzu. A lot of dogs are not especially comfortable during bath time and may try to make a dash for it. Therefore, you’ll have to use a place that they can’t escape from mid-groom. It’s perfectly fine to groom your Shih Tzu outside in the garden but you’ll want to find an enclosed space that they can’t escape from. Trust me, I know this from experience. The bathroom is obviously the best choice though as you have easy access to flowing water, a bath or shower to contain your dog, and (hopefully) a door so they can’t make a sneaky dash for it. It’s unlikely that you have a perfectly placid Shih Tzu who will stay calm and relaxed during bathing and grooming. It can be a little messy so you’ll want to cover the floors with some towels. This will help with the amount of time spent tidying up afterwards but it also very important to stop you from slipping and hurting yourself or your dog. Although not essential it might be a good idea to purchase some kind of non-slip surface to put in the bath. My bath doubles up as a shower so we have one of these and it does make a big difference when I’m bathing my Shih Tzu. Step 2 – Relax your dog. Bathing and grooming can be a stressful experience for a dog, especially at first. I’ve groomed my Shih Tzu several times now and he is far more relaxed than he was at first. So don’t worry too much if it’s a bit of a struggle the first few times, this is natural and they’ll eventually become accustomed to the process and you’ll find it much easier. When I first started grooming my dog a strategy I would use was to sit on the sofa with him and brush him with his favourite brush while talking to him in a soothing tone. This always puts him in a relaxed state of mind before we begin. Step 3 – Removing any matted hair or tangles in their coat. This is an important step to take before you bathe your Shih Tzu. Any knots or matted hair will become thicker and denser during bathing, making them much harder to remove. Before you bathe your dog you should be able to run a comb through their coat with no resistance. If this is not the case then you’ll need to use a brush to remove the knots and tangles. If it takes a long time to brush through your Shih Tzu’s coat before bathing then you’re probably not brushing your dog enough. I know life can be hectic at times and free time can be at a minimum but regular brushing of your Shih Tzu’s hair is very important. Neglecting this can lead to some horrible skin conditions. For a more detailed review of how to brush out matted hair please read my article – How To Brush Out Matted Dog Hair. Step 4 – Start by wetting your dog. Make sure the water is tepid rather than hot as you don’t want to burn your dog or for them to be uncomfortable, especially if they are already stressed. Likewise, ensure the water is not too cold as a Shih Tzu is very sensitive to changes in body temperature. As mentioned above try to make sure your dog is on a non-slip surface as this will benefit all involved, trust me! When you are washing your dog be careful not to get water in their face or up their nose. 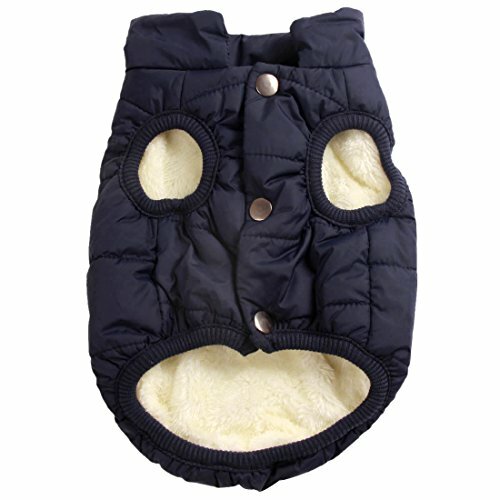 This can be a bit tricky due to the flattened face of a Shih Tzu. They don’t like their faces being washed, but around the eyes and mouth are very important places to clean so just try your best to make it as less unpleasant for them as possible. After a few baths, you’ll develop a certain strategy for this. The best way to bathe your Shih Tzu is by using a shower nozzle in the bath or shower. This way you don’t have to fill the bath with water and will create a lot less spillage and reduce the amount of time you spend tidying up afterwards. Make sure the spray is not too strong and you may even want to run the water into your hand first and let it flow from there onto your dog’s body. This is a good technique if your dog is especially anxious during bathing. Step 5 – Wash the dog with shampoo and conditioner. Make sure you have bought a good quality shampoo and conditioner that’s suitable to use on a Shih Tzu. Follow the instructions on the back on the shampoo to judge how much you apply. 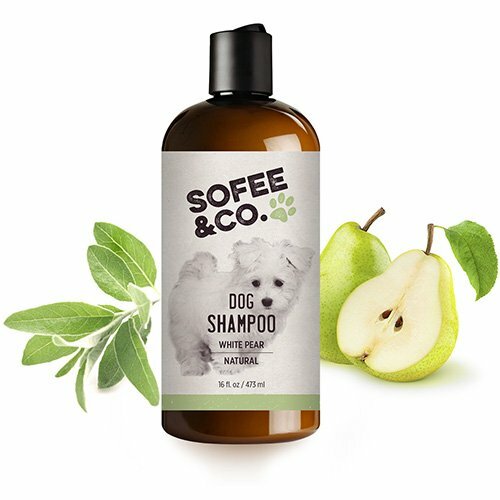 Start from just behind the head and working your way back, gently massage the shampoo into your dog’s coat and skin making sure all the hair gets covered. You want to double check the belly area and the back legs are these are the parts of your Shih Tzu that get the dirtiest. Try to be careful not to get shampoo in your dog’s eyes. It’s not an easy thing to do as they will probably be fidgeting about a lot but try to hold their head upwards as you massage in the shampoo. After you have massaged the shampoo into the entire coat you can start to rinse it out. It’s important to do this thoroughly as any shampoo left on the skin can cause your Shih Tzu to experience some irritation with itching and scratching. 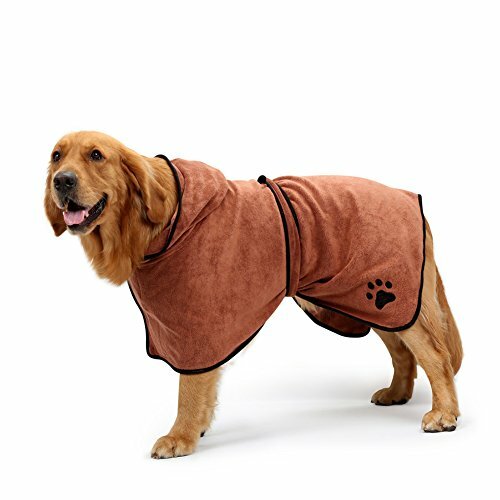 As a dog’s coat is much thicker than human hair it might be necessary to rinse your dog several times before all the shampoo is completely washed away. Once the water is running clear off your dog you know you’ve rinsed them enough. For more information about shampoos and conditioners for dogs and reviews and recommendation of the best products please read my article – Shih Tzu Shampoo & Conditioner: Because She’s Worth It!. After you’ve rinsed the shampoo it’s time to apply the conditioner. As mentioned above it’s important to get a suitable conditioner for your dog. Follow the same steps as you would when applying and rinsing shampoo. Step 6 – Drying your Shih Tzu. To avoid creating splits ends developing on their coat it’s important to pat them dry rather than rubbing them back and forth with a towel. Once you have given them a good pat down you can then use a hairdryer. As you moving the hair dryer over your dog pass you hand and fingers through your dog’s coat. This will ensure the there will be no damp patches left when you are finished. Please make sure the hair dryer in on the lowest possible heat as you don’t want to damage your dogs skin. Even if a higher setting feels on your skin it’s better to cautious rather than hurting your Shih Tzu. Step 7 – Comb the hair. Once you’ve finished bathing and drying you can begin to groom your Shih Tzu. When your dog is nice and dry you can take a brush and begin to comb out any tangles or knots that may have occurred during bathing and drying. The best way to remove knots and tangles is to start at the base of the hair and work your out to the tips. Step 8 – Trim the nails. When you need to cut your Shih Tzu’s nails it’s important to have the right kind of nail cutters. I would recommend a nail cutter that has a hole where you insert the nail. These nail cutters make it a lot more difficult to make a mistake and hurt your dog. Try to make a swift clean cut and only cut the white part of the nail. The pink part contains tissue and will bleed and hurt your dog if you accidentally cut this part. If this happens then a good tip is to put some cornstarch on the nail to stop the bleeding. If you feel unsure about whether to cut your Shih Tzu’s nails or not then you can always take them to a professional groomer for this. And you can always ask the groomer while you are there you give you some tips to make you feel more confident about doing this yourself at home. Another way to trim your dog’s nails is to use a nail grinder. This piece of equipment is more expensive than a pair of cutters but has the advantage of making it more difficult to make a mistake and hurt your dog. 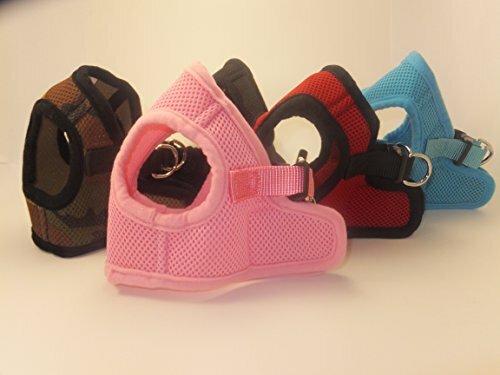 If you would like to know more about what type of clippers you should get for your Shih Tzu please read my article – The Best Nail Clippers For Small Dogs. Step 9 – Cut the hair. This is the part of grooming your Shih Tzu at home that most people get nervous about but it’s actually not as difficult as you might imagine. Before you start to cut your dog with the clippers it’s very important to make sure they are completely dry as wet hair can get stuck and be very painful for your dog. When I groom my Shih Tzu I do it in two steps. First, I use the clippers to remove the hair on the body and legs and then I’ll use a pair of good quality scissors to cut the hair around the face and any other parts that are harder to reach with the clippers. A good length to start with would be the #8 setting on your clippers as this will be a short length but not so short you that could risk hurting your dog. If you want to be extra careful you could even begin with the #10 setting. With practice, you can lower the setting a few numbers to get a closer cut if desired. Take up a position behind your dog and shave from the neck down to the base of the tail. Press down gently and move in the direction of the hair growth. You will probably be a bit tentative at first but it won’t take long before you get a sense of the speed and pressure to apply for a smooth clean cut. After you have shaved the back and sides you can move onto the legs applying the same technique. Move from the top of the legs down to the feet. Next, you can shave the belly and groin areas. This part of your Shih Tzu’s body is a bit more sensitive and there might be dangly bits you need to be extra careful of so please pay more attention to this part. Every now and then you stop shaving and give your dog a quick brush over to remove any loose hair. After I have shaved all the parts of my Dog with the clippers I’ll move onto the head. 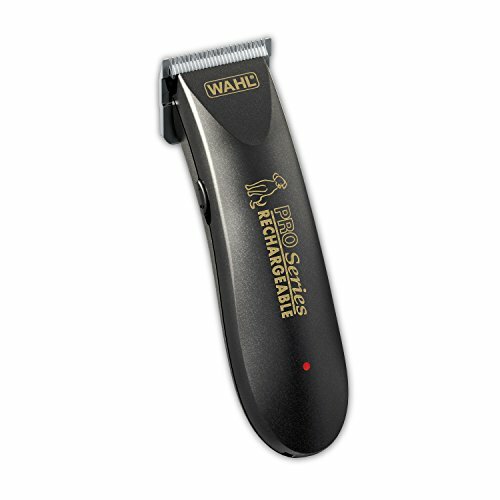 It’s possible to shave the top part of the head with the clippers but in my experience, you have more control over holding the head and using a pair of scissors. Also, make sure you remove any hair from inside the ears. This is important to prevent ear infections. If you don’t already own a pair of clippers then you might want to read my article – Best Clippers For A Shih Tzu – What You Need To Know. Step 10 – Clean the ears and the teeth. After the bathing, drying and shaving are complete you can move on to cleaning your dog’s ears and teeth. Cleaning the ears is very simple. You should purchase a cleaning solution specifically design for dogs ears. Simply, pour a few drops from the bottle onto a cotton wool ball and gently rub the solution into your dog’s ears. Then use a clean cotton wool ball the wipe up any moisture that’s left behind. As with using any product on your Shih Tzu make sure you always read the manufacturer’s instructions. If you don’t already have a toothbrush for your Shih Tzu then I would recommend getting a finger which is a perfect choice for a small dog. Never use human toothpaste. You should find a toothpaste that is specially formulated for a dog. There are many to choose from and come in a variety of flavours. Using the finger brush, gently rub over your dog’s teeth for a while to remove any build-up of plaque or other debris that might be caught in between your dog’s teeth. Brushing your Shih Tzu’s teeth properly will help to avoid bad breath and yellowing. 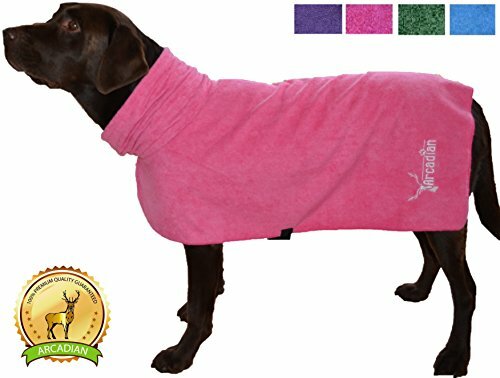 But more importantly, it will keep the oral health of your dog in good condition preventing any serious dental health problems. I’m sure grooming your Shih Tzu is a different experience for all of us as they can have very different personalities. My experience of grooming Charlie at home has got better over time. The first few times he really wasn’t happy with the experience and would constantly struggle to get away but he is much more comfortable with being bathed now. Another piece of advice I would give, especially for the first few grooming sessions, is to try and stay as calm as possible. Dogs are very sensitive to human emotions and if they feel your stress on top of theirs it could make the experience more challenging for both of you. If you need to purchase any of the equipment listed above then please read the post below. I recommend what products I think are best and provides links to places where you buy them. Alternatively, you can visit our shop for a wide range of all the products necessary to groom your Shih Tzu at home. Here is a good video explaining some of the common mistakes that are made when bathing and grooming a dog so you might like to check it out. And I must say even when he was obviously hating the experience he always seems very pleased with himself a short while afterward. Once he relaxes and drys off he seems to very much enjoy looking and feeling fresh. Do dogs suffer from vanity, I wonder…?